Create a t-shirt made especially for your Dad, Grandpa, Uncle, Brother or yourself by placing a favorite saying, message or phrase on one of these Personalized T-Shirts. A great personalized novelty t-shirt for kids of all ages. 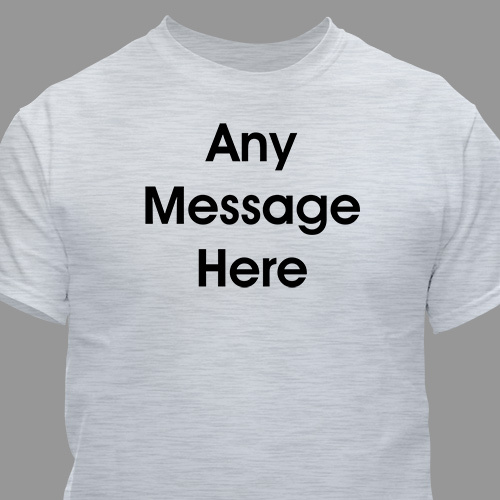 Our Any Message Here Personalized Shirt is available on our premium white 100% cotton Personalized T-Shirt, machine washable in adult sizes S-3XL. Also available in Pink and Ash Grey. Includes FREE Personalization! 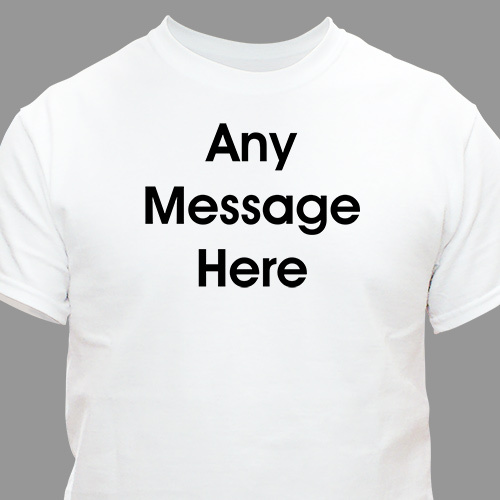 Personalize your Any Message Here T-Shirt with any three line message in our ""Block"" font, choose between 10 different colors for the text. Shirt was very soft and sized well for my husband. It was easy to setup and it's the only place you can find "PoP" for a grandfather which is what my husband is called. GiftsForyouNow.com offers many Personalized T-shirts that are perfect for Father's Day. In addition to our Personalized Father's Day Shirts, we offer personalized Fathers day Frames, Personalized Polos & Personalized Fathers Day Keepsakes. For everything Father's Day, visit GiftsForYouNow.